Here in the state of California, Intelifi has become a leader in the background screening industry. 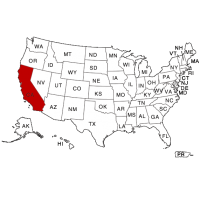 There are many specific regulations that California has that other states do not. Therefore, it is very important that you utilize a screening provider that has experience locally. We specialize in providing county criminal reports in California with the most thorough data and quality assurance you can find. County criminal reports are mandatory in California, because courts do not provide reliable data to any national databases, and there is no statewide agency search available. We will send a licensed court researcher to any court in the state, and typically have results back in 48 hours. In Los Angeles County, we also have LiveRunner technology, so you will get results back in less than 30 minutes. Intelifi can help you find Felony convictions such as assault with a deadly weapon, aggravated assault, and identity theft, as well as less severe Misdemeanors like shoplifting, DWI’s, and the like. Contact Intelifi to get started today, and take advantage of everything we have to offer in California.